Sightseeing of Nin and tour around the island of Pag with the visit of the cheese factory and cheese tasting. Duration: 4-5 hours. Journey begins with the visit of the oldest Croatian royal town Nin. It is cultural center with the rich archeological finds and monuments from the 8th and 9th century. We will visit one of the oldest cathedral in the world, famous Holly Cross church. After visiting this medieval town we can be on the way to the island of Pag, only 30 minutes from Zadar. Interesting bridge give us the chance to make a small break and enjoy the magnificent panorama view. 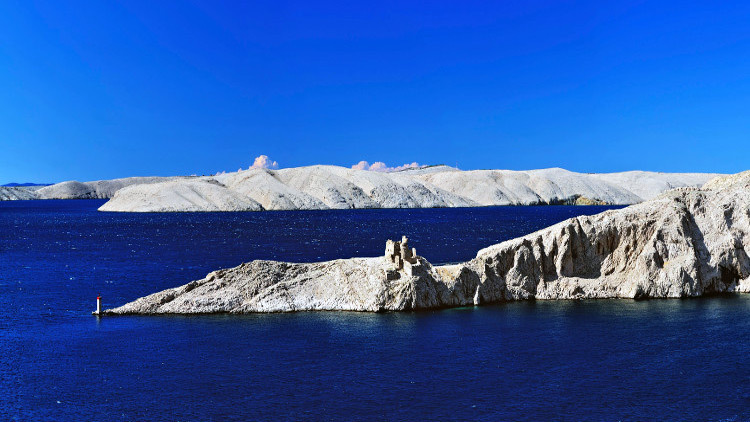 This is the island of unusual but very nice landscape, the island of stone, rocky island with sky blue sea situated under the Velebit Mountain. Island of Pag is famous for its tradition, cultural heritage and tradition of lace stitching. Lace is a unique work of valuable and skilled hands of women from the town. Lace-making is in the whole Mediterranean area very old. In the town of Pag recorded its production already in mid-15th century. The lace was also included on the list of Intangible Cultural Heritage of UNESCO. The whole story of the lace you will hear from our guide in the town of Pag. Another brand of the island is the famous Pag cheese. It is made exclusively from the milk of indigenous sheep. It has a specific taste and smell because of the vegetation, Velebit bora and salted aromatic herbs. That famous cheese you can try by visiting the cheese factory Gligora and cheese tasting. Day trip is organized by Bora Tours Agency.